Successful wealth management combines wise investment choices with intelligent tax strategies. Modern investors require a comprehensive approach to their wealth management, estate, tax, and insurance needs. As your strategic partner, we seek to integrate these complex elements into a cohesive plan that gives you the power to meet your financial objectives. Effective financial planning creates confidence in the face of life’s many uncertainties. While providing an overview of the big picture, our advisors develop comprehensive strategies for clients that allow them to make informed financial decisions. We specialize in tailoring plans to fit your current situation while providing a foundation for future growth. From budgeting and debt management, to cash-flow strategies, college-savings plans, retirement plans and more, our advisors strive to help promote your total financial independence. As a comprehensive financial services firm, we have access to a full suite of insurance policies, including life, disability, and long-term care insurance, property & casualty, special needs plans, and alternate strategies for the continued protection of your assets. While monitoring your existing policies to guard against loopholes, our advisors will seek new opportunities to defend what you’ve worked so hard to achieve. The heart of our practice is dedicated to constructing and managing investment portfolios. We believe the primary advantage of our firm is that our investment management strategies incorporate analytical processes to fully understand client priorities. From identifying short and long-term objectives to assessing resources and your level of risk tolerance, our advisors strive to first gain a deep appreciation for every aspect of your situation before offering our recommendations. Through aligning your investment strategy with your objectives, we will identify the suitable strategies that seek to reduce income tax liabilities, develop a personal cash flow statement, and assist in developing a comprehensive asset allocation and diversification strategy. As markets shift and your personal needs change, our customized strategies are built to evolve. You worked hard to get here, and your financial plan must be equally competent in seeking to preserve what you’ve built. At Finn & Meehan Wealth Management, tax strategies are essential to our practice. For individual investors and business owners, our advisors specialize in maximizing after-tax income, protecting assets against taxes and inflation, identifying tax deferral and avoidance strategies, and more. Just as you diversify your assets among cash, stock, bonds, and alternative investments, our advisors also believe in diversifying your assets from a tax perspective. With such diversification, our strategies empower you to respond to changes in tax codes and strive to enhance your retirement money irrespective of these changes. Since our inception, we have helped clients transition from the working world into retirement. By looking at the whole picture of your life, we can develop a tailor-made plan of action that evaluates pensions, 401(k) plans, IRAs, Social Security, stock options, and other assets to pursue a reliable income stream throughout your future. Whether you’re in the prime of your career, are just a few years away from leaving the workforce, are already evaluating an early retirement offer, or are already retired, we can help create an investment plan that addresses your long-term goals. Our advisors offer detailed projections of when you can expect to retire, at what level of income, and what rate of return will be necessary to meet your retirement goals. Wealth transfer is about more than money, and our focused approach to private wealth management respects the importance of sustaining your legacy. It all starts with understanding your needs and values. After determining the effectiveness of your current plan, we will recommend changes as needed. 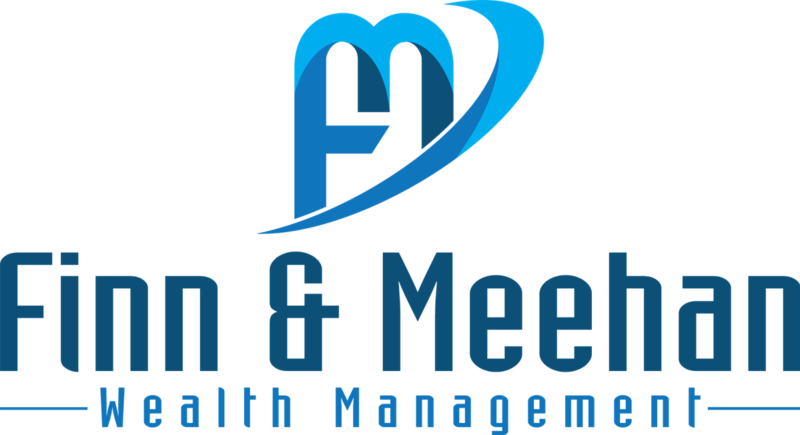 At Finn & Meehan Wealth Management, we specialize in building customized plans that pursue your short-term and long-term goals while seeking to ensure the tax-efficient transferring of assets to heirs. From discussing asset management assistance needs for your family to exploring charitable and non-charitable giving techniques, we will evaluate the sources of income for your survivors seeking to assure that adequate income is available. No matter where you are in life, our specialists will be here to understand and harmonize your financial needs for you and your loved ones.